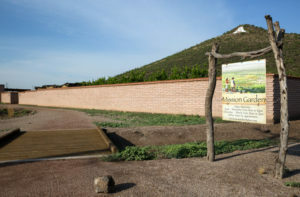 Join AAHS on Saturday, April 6, 2019 for an in-depth visit to Tucson’s Mission Garden and Tumamoc Hill starting at 9:00 a.m. to 2:00 p.m. Journey back in time to 4,000 years to learn how and what crops were grown and the Spanish introduction of Old World foods to this area. The group size is limited to 20 people with a $20 fee to cover charges by both locations. To register, email Pamela Pelletier at pamelapelletier @gmail.com. Sign up right away!